CONNY's primary purpose is to promote the game of lacrosse in a safe and sportsmanlike environment. CONNY wants kids to grow up playing a game of speed, position, and finesse, rather than physical intimidation. The goal is to conduct all our activities in a manner that will set an example of good sportsmanship and friendly competition for our young players. Connecticut Valley Youth Lacrosse League is the Hartford and Springfield Area teams primary lacrosse league. CT Lacrosse Foundation is focussed on supporting and developing the sport of lacrosse in Connecticut. The New England Coastal Lacrosse (NECLAX) league represents youth lacrosse programs on the CT Shoreline and Eastern CT. RHAM Youth Lacrosse plays in both the NECLAX league as well as the Connecticut Valley Youth Lacrosse (CVYL)league. Laxjournal.com is the place for New England Lacrosse. Along with the New England Lacrosse Journal magazine laxjournal.com brings you stories, photos, and listings for every aspect of lacrosse in Connecticut, Massachusetts, Rhode Island, New Hampshire, Vermont and Maine. College Lacrosse, Prep and High School Lacrosse, both Men's and Women's Lacrosse. Professional Lacrosse both on the Field and Indoor with extensive coverage of the Boston Cannons of the MLL and Boston Blazers of the NLL. Plays Sports TV is a free site with sport specific training videos for all major sports including Boy's and Girl's Lacrosse. Helpful videos show new skills, drills and ways to improve your game. 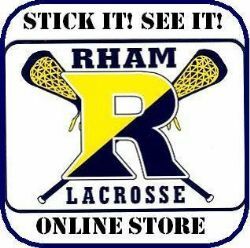 Official US Lacrosse organization for US Lacrosse from youth through adults. There is a wealth of information about the sport of Lacrosse.